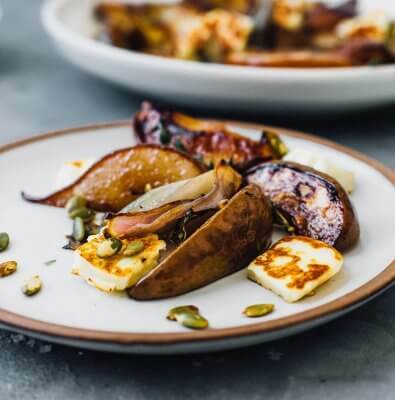 Highlight any affair with the subtle elegance of these roasted pears, served with chicken, turkey, pork, or as an ingredient in a fresh salad. The subtle sweet flavor of Anjou pears, lightly roasted with a coat of herb-tinged balsamic vinegar and olive oil, is truly a gift to the palate. Combine all ingredients except pears; mix well. Brush pears with vinegar and oil mixture. Place pears on oiled rack in broiler pan. Bake at 425 degrees for 12 to 15 minutes, brushing once after 6 minutes. 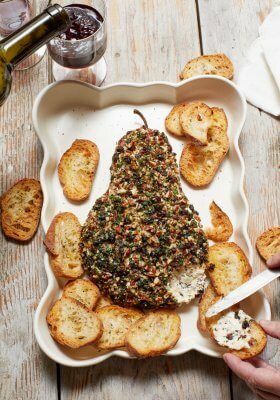 Serve with roasted poultry or meats.